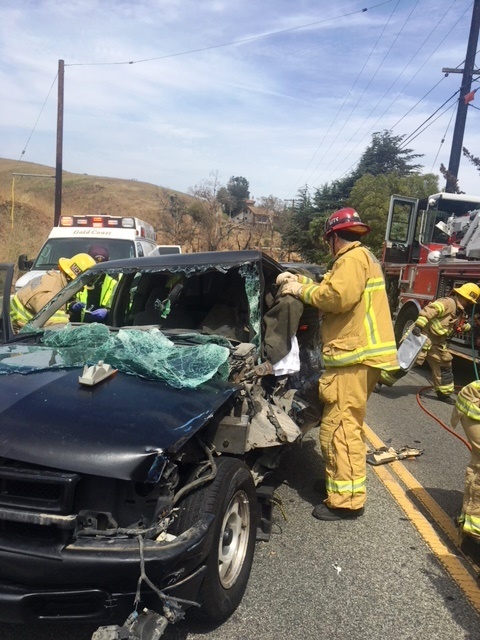 Units responded to a reported vehicle collision on Foothill Rd. near Court Ave. 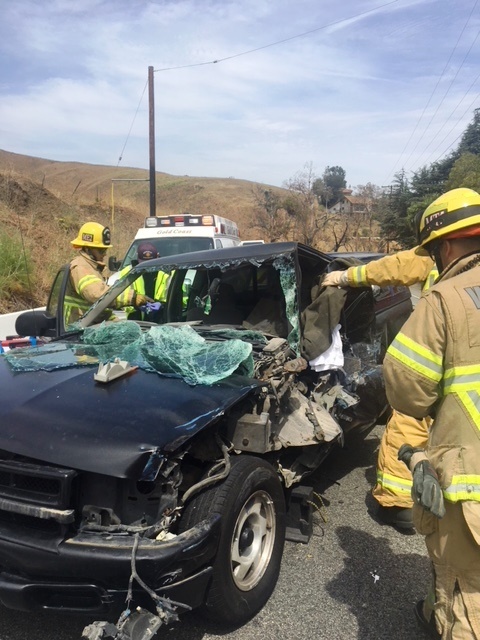 Upon arrival, Firefighters discovered a 2 vehicle collision with major front end damage to one of the vehicles and a person trapped. Firefighters used hydraulics tools to cut the vehicle away from the driver and solo occupant. 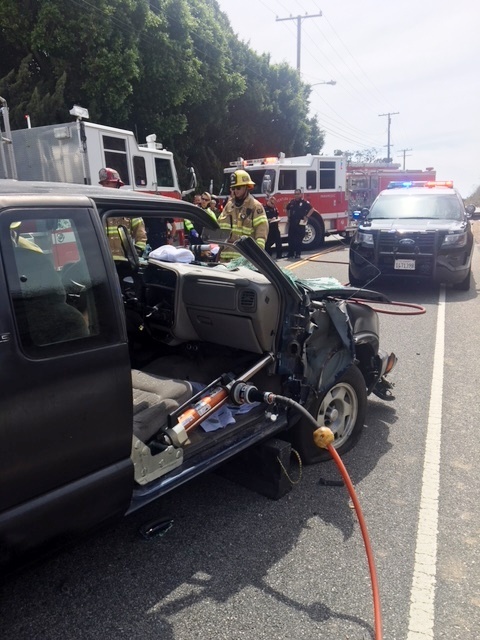 Medical treatment was initiated during extrication and continued throughout transport to a local trauma center. The driver of the other vehicle was assessed on scene and was not transported via ambulance. Ventura Police provided traffic and scene control.